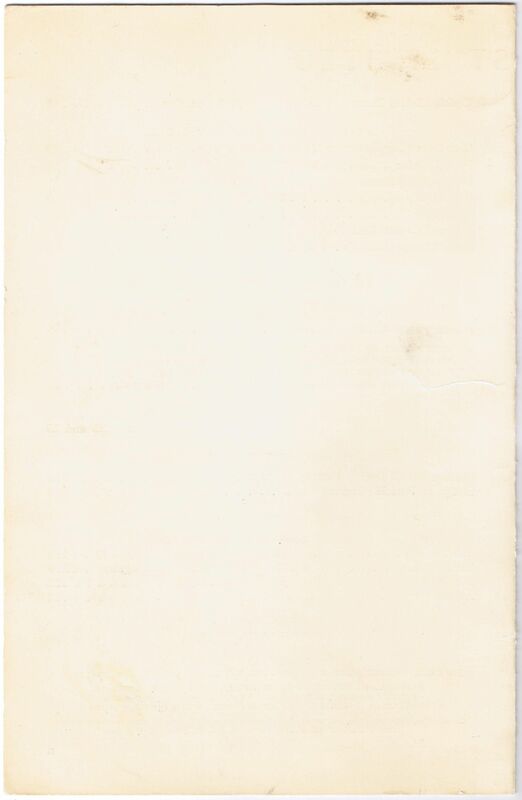 Menu Code BV-35-P-4C-F65 N. Coast Ltd. 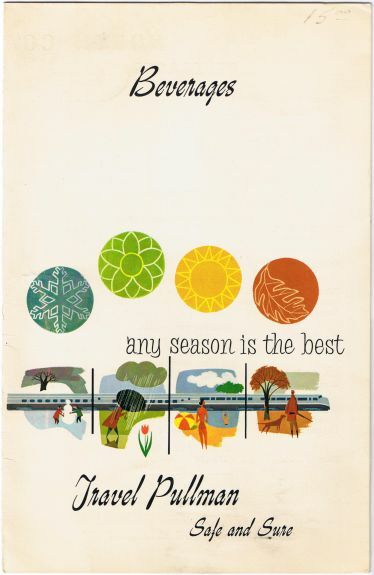 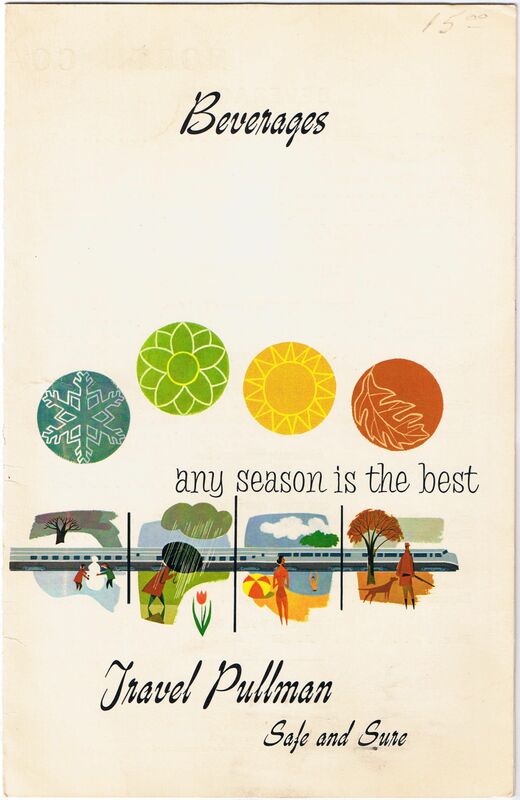 Description Pullman 1965 Beverages Menu - Used in the Pullman Lounge Car of the Northern Pacific (NP) Railroad's famous dome train, The North Coast Limited. 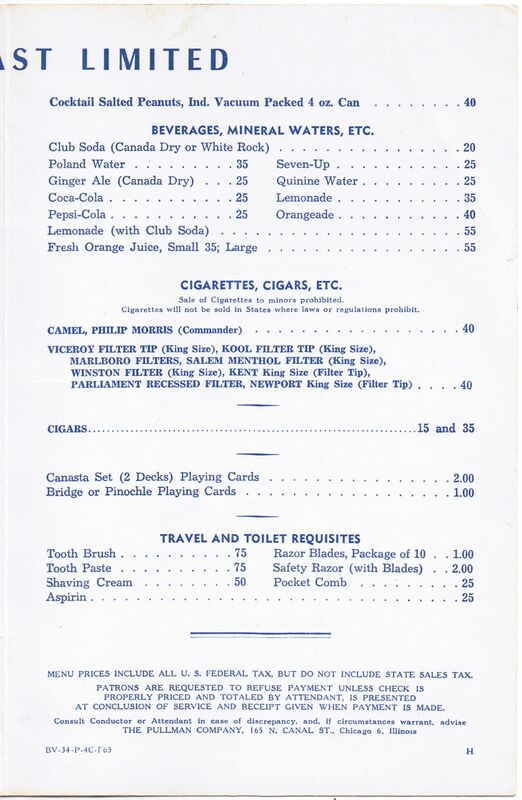 A brief menu with Wines, Liquors, Beer and Ale, Soft Drinks, Mineral Waters, Etc., Cigarettes and Cigars, Cards and Travel and Toilet Requisites. 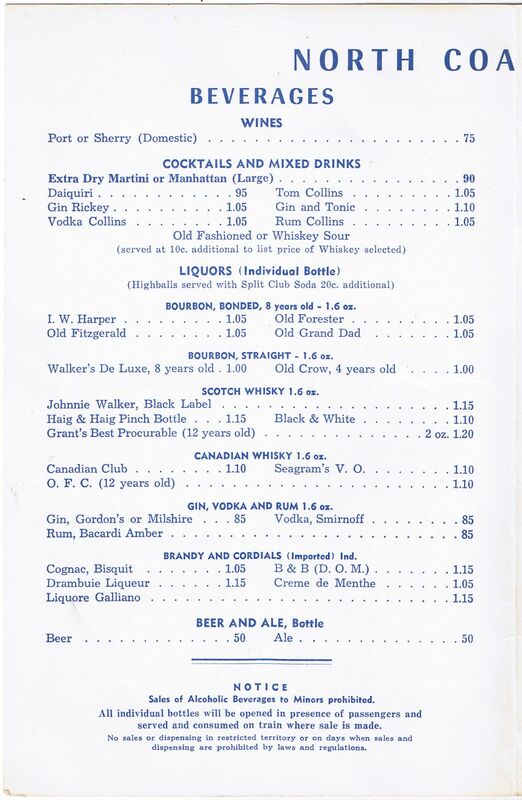 The date code of BV-35-P-4C-F65 tells us that only 400 copies of this menu were ever printed.